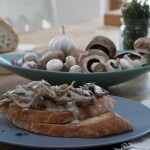 Fry the mushrooms in 2 tblsp of the olive oil until they have coloured, then add the garlic and thyme and fry for a further minute. Add the alcohol and cook for 2-3 mins. Next add the chicken and once this has warmed through add the cream and seasoning and let it thicken up. While the sauce is thinkening brush the slices of bread with the remaining olive oil and toast on both sides under the grill. 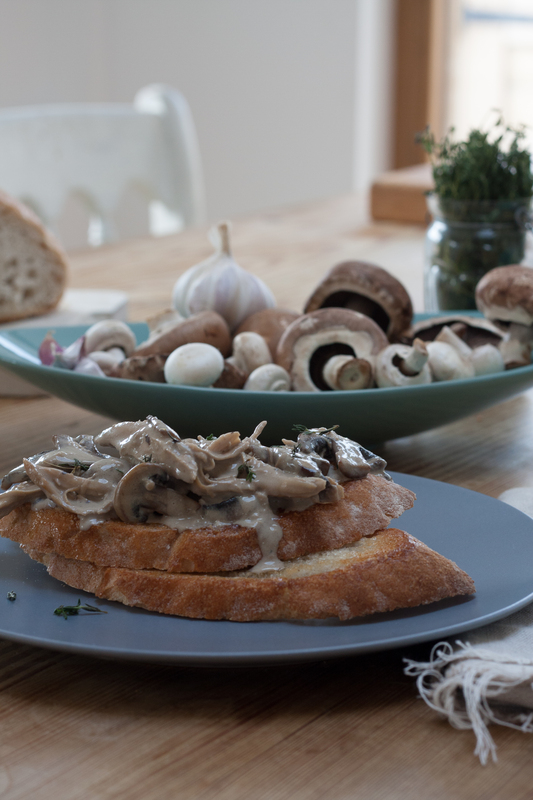 Bring it all together by spooning over the creamy mushrooms and chicken over the toast. You could add some parmesan shavings or crispy bacon – its delicious either way !